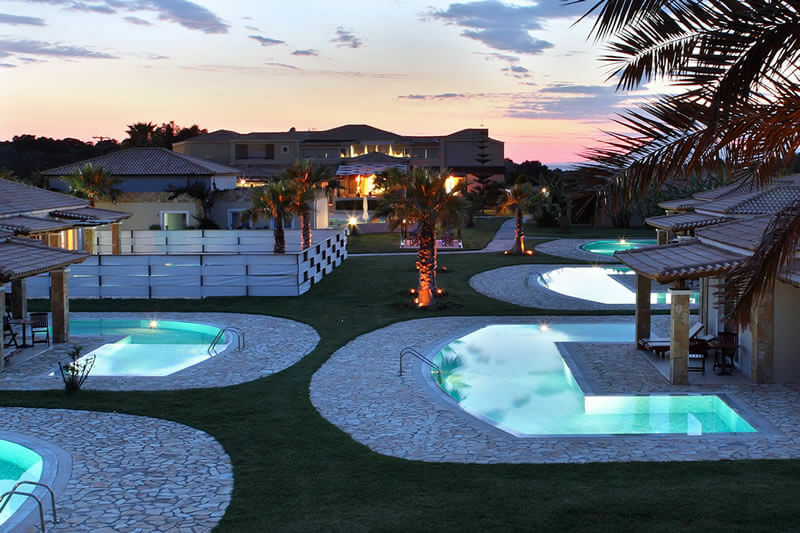 Built right next to a six kilometer-long beach, Olympia Golden Beach Resort & Spa in Killini Ilias ιt is one of the most luxurious options for holidays when you are visiting Peloponnese in Greece. In year 2015 ,in fact, was awarded an honorary prize in the category Luxury Family Hotel from the international awards committee World Luxury Hotel Awards, an international competition in which participating hotels from every continent. Olympia Golden Beach Resort & Spa is designed to be surrounded by water and not only from the stunning beach that lies in front of it , but also from 11 pools that are available to the guests all around the complex. 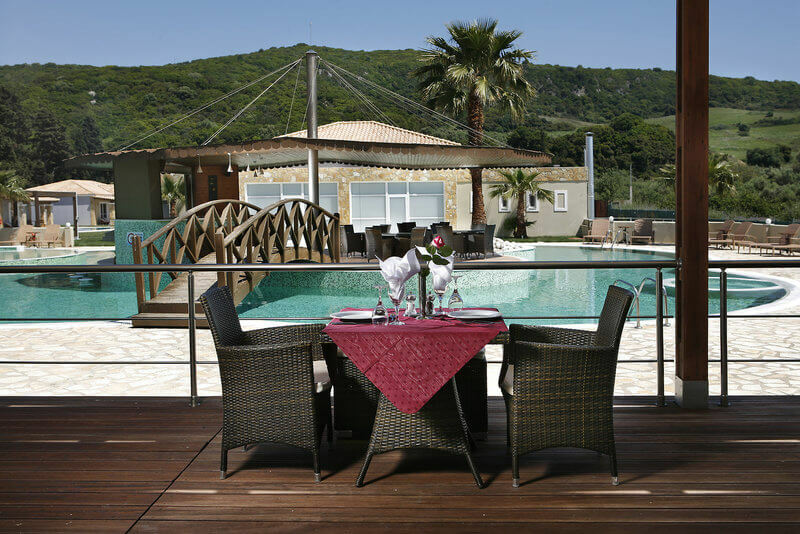 The accommodation and packages offered to meet every expectation. 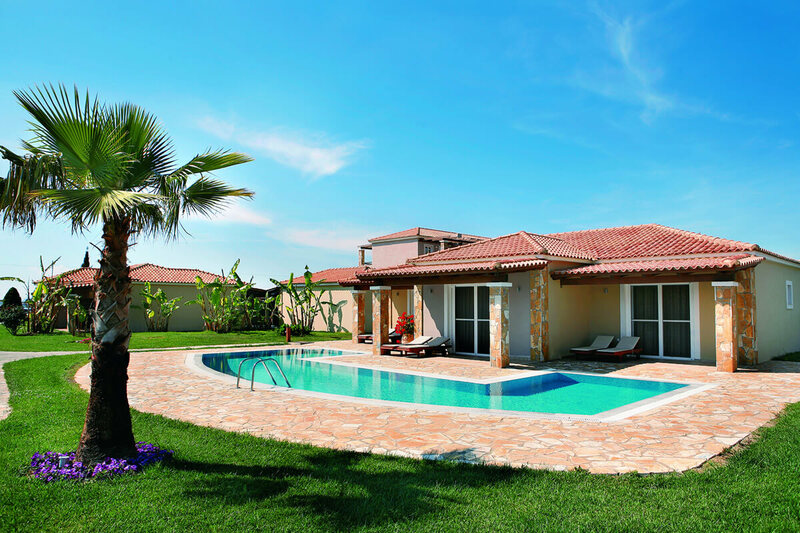 Double Deluxe Rooms, Bungalows, Suites and one Villa, all equipped with TV and Wifi, many of them have access to either a shared or a private pool. Relax from your daily stressed life using the Massage services offered by experienced professional physiotherapists. Enjoy a relaxation, reflexology or aromatherapy program, or a combination of programs that will make you feel rejuvenated. The 300 m² of the spa has a modern fitness center, heated pool, hot tub, steam room, sauna, and offers a wide range of treatments for relaxation as thalasso and massage treatments. 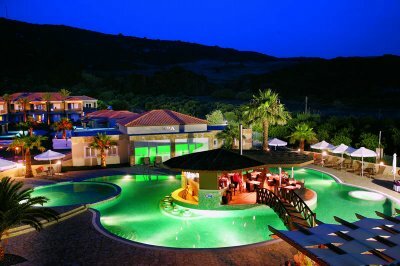 Furthermore there is a tennis court, the possibility of mountain bike rental, and there is a games room with table tennis, billiards and gaming consoles among others. Of course you do not miss the Kids’ Club, where organized recreational games for children by professional staff. The exotic Kyllini Golden Beach is one of the most beautiful Greek beaches earning every year the blue flag for its clean water. Its golden sand and its length of 6 km give its visitors a magnificent feeling of relaxation and joyful time. Ideal for young children, due to the gradual deepening of the sea’s water, Kyllini’s Golden Beach is the perfect place for your summer holidays. The distance from the hotel to the beach is 400m and we offer a free mini bus drive.